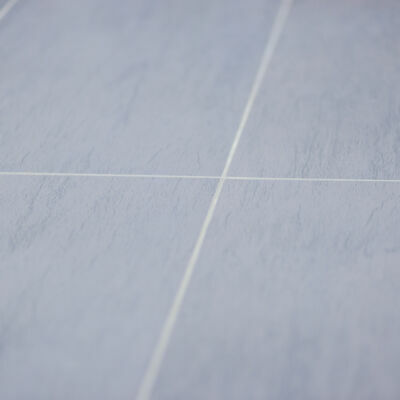 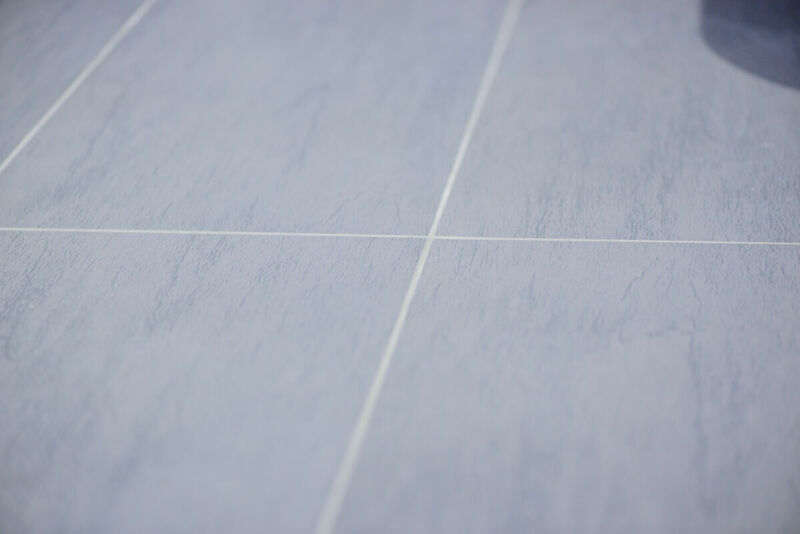 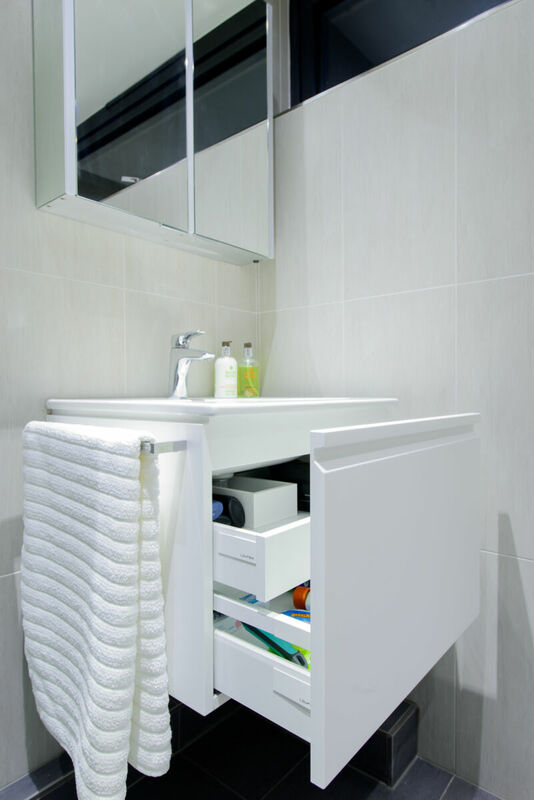 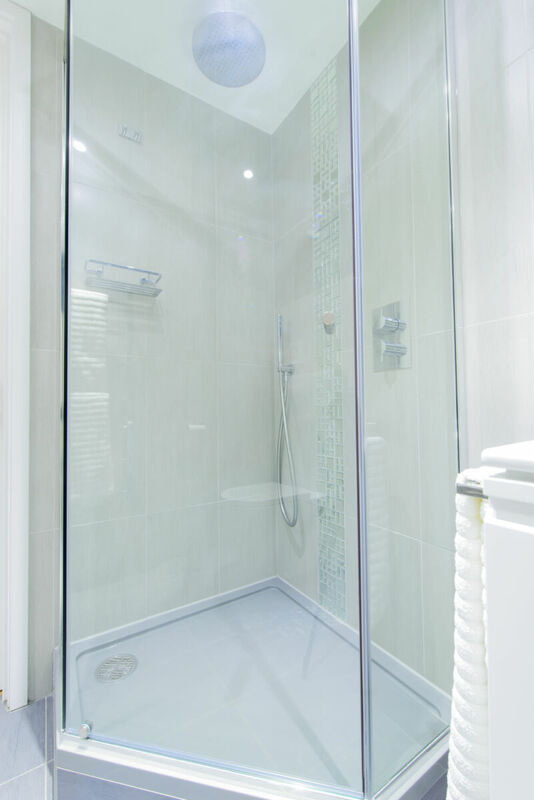 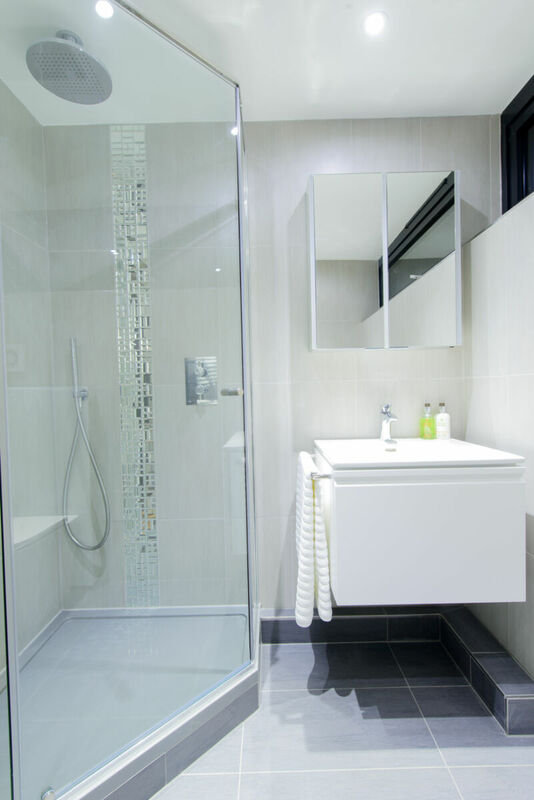 With a brief to provide a luxurious yet space saving enclosed showering space, Roots Bathrooms have designed a wonderfully appointed ensuite – specifying the Matki-ONE Quintesse to reduce the Shower footprint. 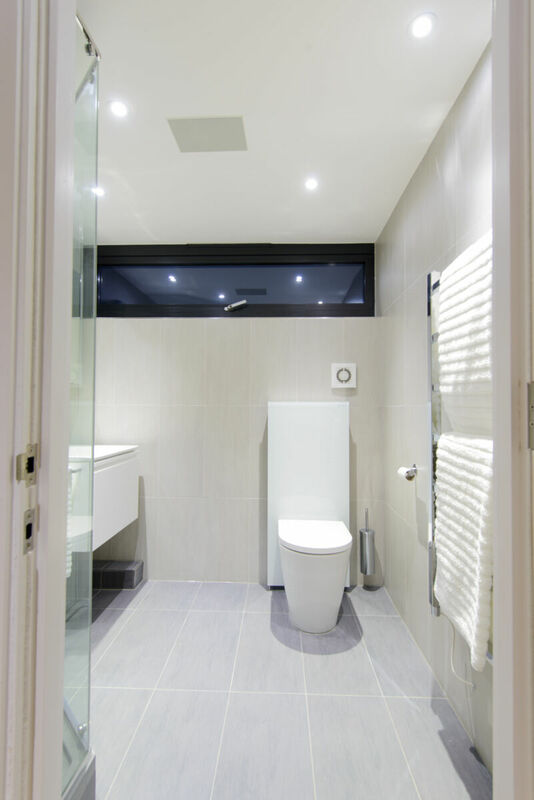 Although a smaller space, details in the colour and geometry of the fittings and fixtures tie the design scheme together beautifully. 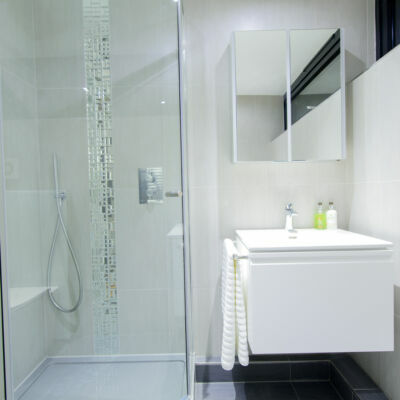 Using the Matki Universal Quintesse Shower Tray the surface colour of the tray has been matched perfectly to the floor tiles, creating a feeling of space; an opulent strip of glass mosaic tiling within the stony coloured wall tiles define the showering space and bring a touch of decorative glamour. 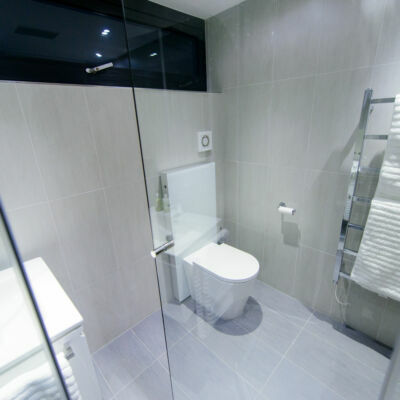 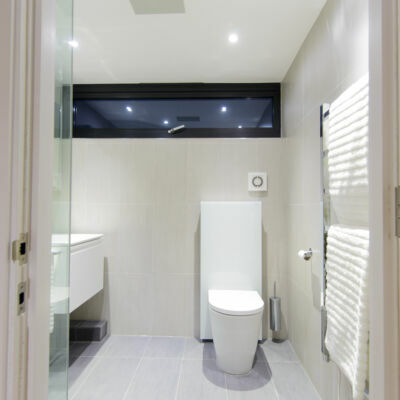 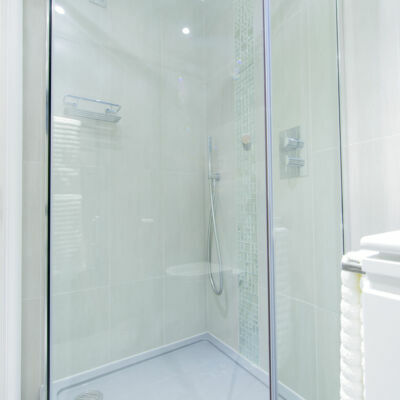 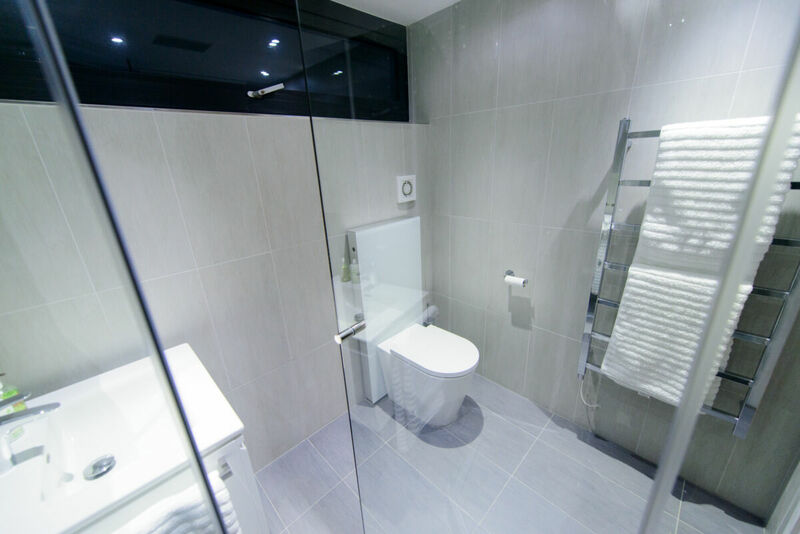 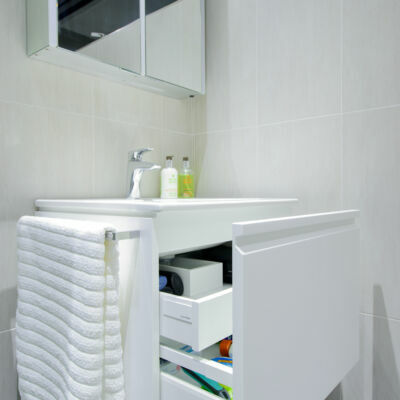 Roots Bathrooms are an independent family-run business specialising in the design, supply and installation of kitchens, bedrooms and bathrooms, based in Faversham, Kent.